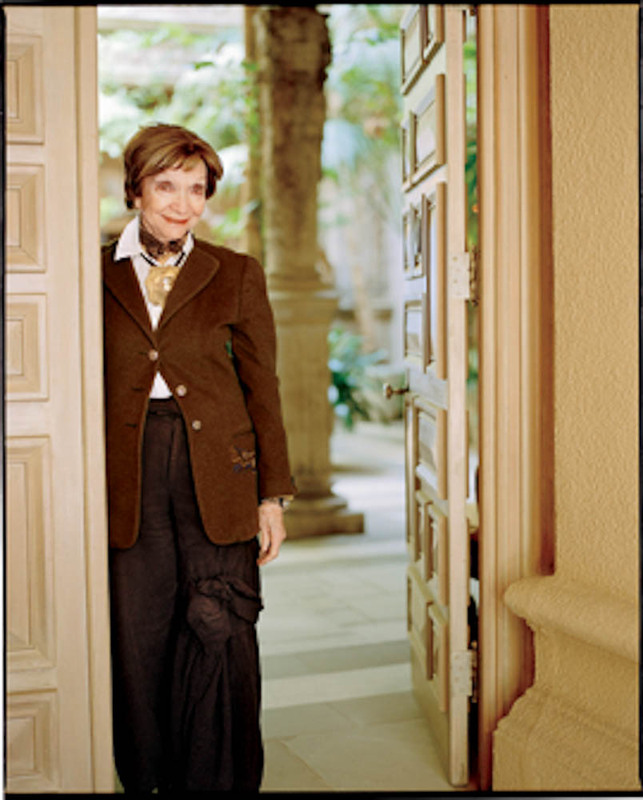 San Francisco philanthropist, fashion connoisseur and couture patron, Dodie Rosekrans, who counted John Galliano, Hubert de Givenchy, Jean-Paul Gaultier, Christian Lacroix, the Dumas-Hermes family, artists, curators, princesses and contessas, ballet dancers, art students and creators among her international friends, died recently at her residence in San Francisco. Come and pay tribute to a generous spirit and visit her legendary residence, with superb and classic interiors by Michael Taylor. Dodie Rosekrans bewitched friends and everyone she met. In San Francisco and in Paris and Venice, her arrival at an art gallery or the Prix de Diane equestrian event in Chantilly, or at a ball in Venice, was electric. I recall Dodie appearing at a SFMOMA ball in the ‘Firebird’ jacket by Jean-Paul Gaultier. She looked like an exotic bird, her ensemble fluttering with long, shimmering red, blue, green and black iridescent feathers that extended up around her head and arched down beyond her fingers. To an antique show in Paris she wore a baroque pearl necklace by Christopher Walling, with silvery gray/green pearls the size of quail eggs. Her asymmetrical black jacket, quite severe, was by Yohji Yamamoto. At a South of Market gallery show of new artists' paintings, she topped a Comme des Garcons side-buttoned tunic in black silk satin with an emerald necklace of the rarest of rare stones shimmering, in my memory as large as golf balls. She loved extravagant Tony Duquette jewelry and often piled it on with rainbow-embroidered quilted jackets by Kaisik Wong, another young designer she championed. I always felt uplifted, thrilled, to see such beauty—and her natural and low-key way of wearing these rarities. Such beauty, and her celebration of designers’ most elaborate work, happen seldom and are qualities to be celebrated and savored. “Top designers—Yohji Yamamoto, Rei Kawakubo, Christian Lacroix, John Galliano, Junya Watanabe, Rick Owens, Yves Saint Laurent, Kaisik Wong, Karl Lagerfeld—are all artists and I admire their creativity, originality, and avant-garde sense of style,” says Rosekrans, who was born in San Francisco and went to private girls’ schools in Pacific Heights. The decor of the living room is exactly as Michael Taylor designed it in the ’70s. Taylor selected eight large-scale 18th century William Kent chairs, which are upholstered in chartreuse silk-velvet. “I’ve always loved fashion, ever since my mother took me to the Paris couture in the thirties,” says Rosekrans, who divided her year, carefully following the art, social and fashion calendars, between her mansion in San Francisco (fall and Christmas), her chic jewel-like apartment in Paris, (spring), and her theatrical grand palazzo in Venice (summer, when she watched the Venice Regatta from her Grand Canal palazzo balcony). 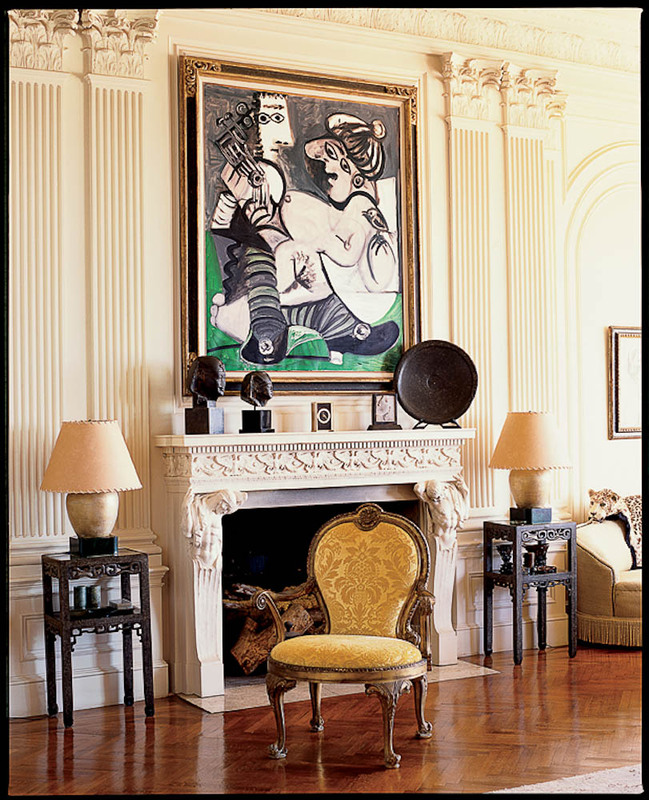 Rosekrans has had a life-long love affair with art, and she enjoyed contemporary paintings and sculpture in her historic residences in San Francisco, in the Paris apartment, and the Venice palazzo. All of the carved stone fireplaces, moldings and architecture are original to the post-earthquake residence. The ardent fashion aficionado is also a generous, life-long arts supporter, benefiting the Fine Arts Museums of San Francisco, the Pompidou, Mills College, Opera de Paris, Save Venice (savevenice.org), as well as arts organizations and cultural activities around the world. Rosekrans, whose original name, Georgette, was replaced by her family’s endearing baby name, Dodie, grew up in San Francisco in the glamorous post-earthquake ’20s and ’30s. She soon set out to correct that, studying art, visiting museums and making a point of meeting leading artists of the day. Rosekrans, a lifelong autodidact, would eventually become a patron of young artists and university art programs, and was an honorary trustee for the prestigious Centre Pompidou Foundation in Paris, among many other posts. In 1960, Dodie married her second husband, the late John N. Rosekrans Jnr, the grandson of Alma de Bretteville Spreckels, the legendary wife of a sugar baron. De Bretteville Spreckels, one of the great San Francisco philanthropists of the 20th century, and donated the elegant California Palace of the Legion of Honor overlooking San Francisco Bay to the City. It was Rosekrans who encouraged his wife to buy couture, and Dodie’s photo albums from the ‘60s and ‘70s are chock-a-block with party pictures of Dodie in Paris, wearing Balenciaga and Givenchy, and in San Francisco in Dior and Yves Saint Laurent in diamond parures and over-the-top strings of baroque pearls, emeralds and rubies. Rosekrans shows her rebellious streak by also wearing African tribal jewelry, chunky antique Tibetan coral and turquoise necklaces, along with dramatically overscale Tony Duquette necklaces, strands of pale gray baroque Tahitian pearls, along with walnut-sized emeralds and rubies like those in the treasure troves of the great Nawabs and Nizams and Maharajahs and Maharanis of India. Sometimes she appears to be wearing them all at once—a thrilling sight. The smoking room is the purest expression of Michael Taylor’s design, with its walls arrayed in grass cloth, a stash of immense Brazilian amethyst crystals, and a pair of carved Senufo birds. 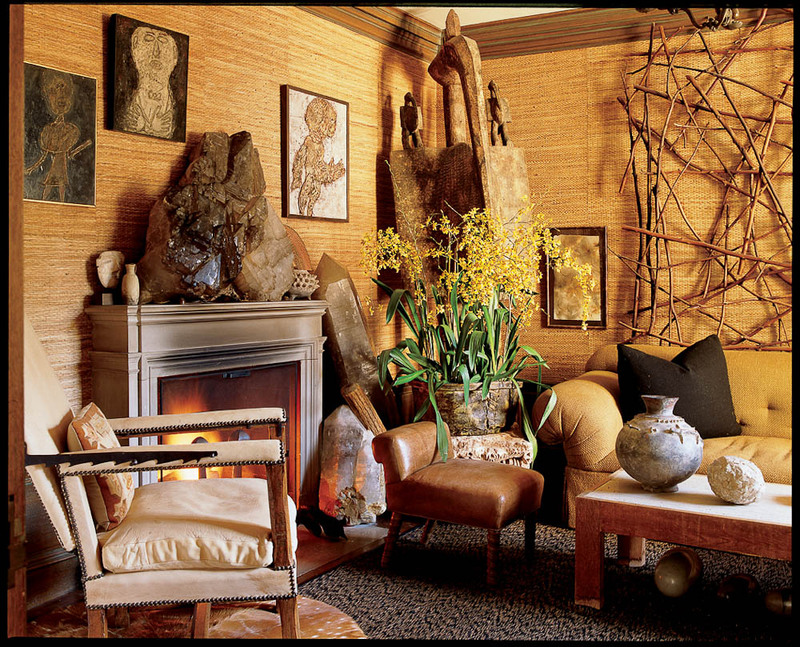 The twig wall sculpture is by Charles Arnoldi, a Taylor favorite. In 1979, the Rosekranses acquired one of the most beautiful residences in San Francisco, built in 1916 by architect Willis Polk. The couple hired San Francisco designer Michael Taylor to design the interiors. 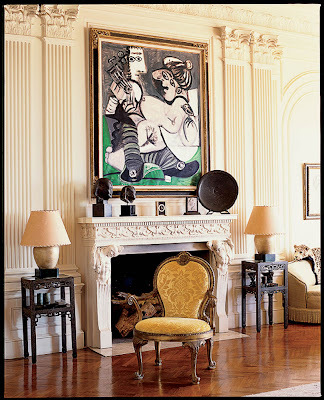 Taylor created one of his most elegant and enduring interiors in California, with elaborate pilasters and walls painted a soft gray, s parquet floors stained dark walnut. Taylor brought in eight bold and gutsy gilded Georgian chairs, a towering 12-panel Chinese Coromandel screen, and a pair of curvy sofas in a style favored by Elsa Schiaparelli. 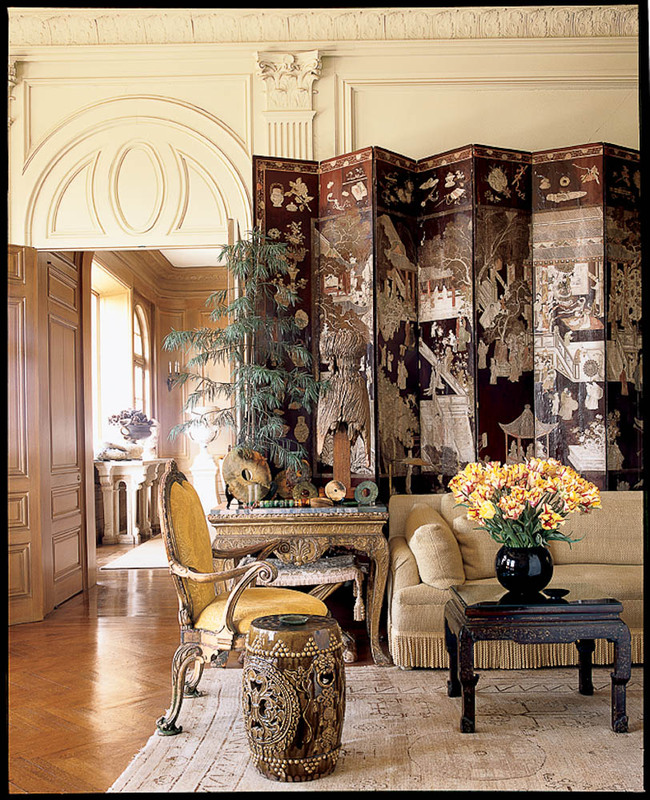 Lavish silk burlap upholstery, rich chartreuse cut silk velvet on the gilt chairs, and a series of majestic Chinese lacquered tables inset with mother-of-pearl, contrast with rough 4-foot tall Brazilian quartz crystals, massive geodes, tall African carved birds, and chunky Chinese jade collections. “I have not changed a thing since Michael completed it,” Rosekrans, dressed in a black Yamamoto jacket, told me recently as she reclined on an 18th century gilded French chaise longue. In 2008, I wrote a feature about Venice for PAPERCITY, and I asked Dodie, who had a palazzo on the Grand Canal, for her favorites. Next time you’re in Venice, wander in the footsteps of Dodie, ponder her generous life, and celebrate her spirit. Dodie used to take up residence every summer in the legendary Palazzo Brandolini, overlooking the Grand Canal. From her grand and glorious and ultra-private piano nobile, decorated by Tony Duquette and Hutton Wilkinson, she would set off on foot to visit her favorite galleries, bookshops, and restaurants. 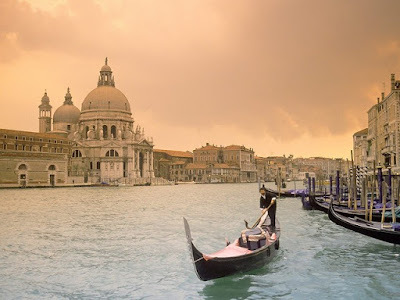 “My palazzo is within easy walking distance from great museums and architectural glories of Venice. 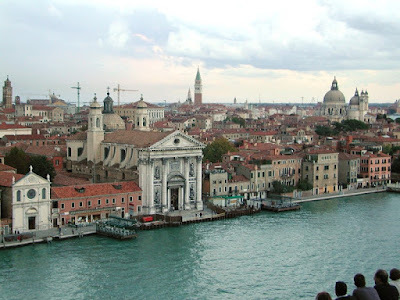 I’m especially fond of the Ca’ Rezzonico museum of 18th-century Venice. 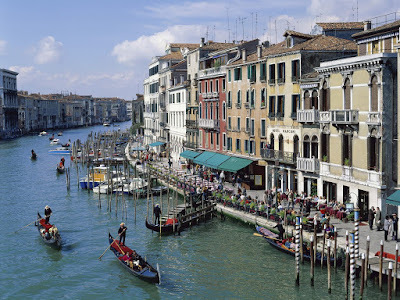 I love its grand Tiepolo frescoes and paintings of Venetian life by Longhi and Guardi. 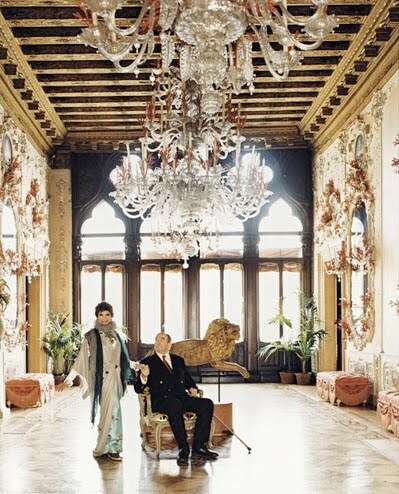 Photo of Dodie and Tony Duquette in her palazzo in Venice by W Magazine. Images of Dodie Rosekrans at her residence in San Francisco, and interiors of the house were photographed by Lisa Romerein. Seattle-born photographer Lisa Romerein lives in Santa Monica, California, and specializes in food, travel, architecture, interiors, gardens, portraits and lifestyle features for a client list that includes: C magazine (where these Rosekrans images first appeared), Casa del Mar, Chateau Sureau, Clarkson Potter, House Beautiful, Los Angeles, Kallista/Kohler, Martha Stewart Living, Meadowood, More, Santa Barbara Magazine, Shutters on the Beach, Sunset, Town and Country and Vanity Fair. Her photographs have appeared in numerous books, among them, the cookbook Small Bites, Big Nights, collaboration with Chef Govind Armstrong, and Santa Barbara Living, published by Rizzoli. Lisa Romerein was the principal photographer for ‘Michael S. Smith, Elements of Style' (co-written with Diane Dorrans Saeks), one of the most successful recent design books. It has recently gone into an eighth printing. 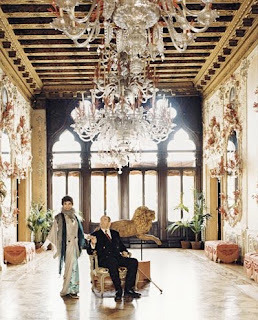 Images of the Palazzo Brandolini, courtesy W magazine. What a gorgeous tribute to my very good friend. I admit, I did not know this name and I was fascinated by your description. Certainly a legend and a life full of great events, magnificent houses, passion for beauty in any form and art. A life well spent! Loved reading about her, and wish I'd known her! Now THAT is a life well lived. 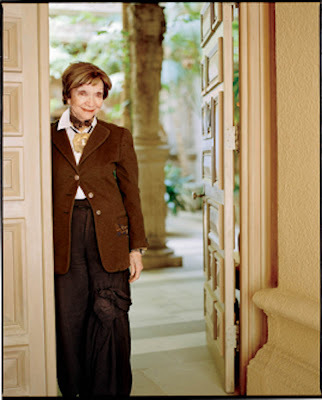 Thank for this wonderful tribute to one of the 20th c.'s true icons of style and generosity. And thank you for teaching me about her; it seems as if there is so much more that I need to experience. Thank you Diane for a wonderful article. As you have so beautifully illustrated, Dodie Rosekranz is a San Francisco treasure. She didn't try to be different but I admire nonconformity because it takes courage and a certain knowledge of yourself to be yourself. Humility is what also stuck out for me. A beautiful tribute and a standard by which we can aspire. Much love to you Diane for giving your talents and those of others. As I live in Canada, I had not heard that this doyenne of San Francisco had passed away. I’m so glad you chose to feature her, and you’ve written a lovely tribute. I’ve admired Dodie for years. I first learned about her from donations of couture that were displayed in museums, and from seeing photos of her in WWD. It is increasingly rare that we meet someone with her resources who uses them so generously for the cultural benefit and enjoyment of others. She had a love and understanding of Art and creativity that made her as important a part of the cultural equation as the artists themselves. It's a wonderful read. I love learning about people's taste and style. You understand these talented and artistic people so much Diane because all these qualities are imbedded in you. Have a great thanksgiving. I've just scanned this and I can't wait to dive into bed to read and study this deeply! Hope you are having a wonderful holiday weekend. I've been so busy and out of touch but so glad to be back to the world of blog. Oh, I've missed you all! she was a fabulous and chic lady thank you for this tribute. She sounds like a brilliant,generous woman to have known! You both gave your mother, Dodi, a lifetime of dignity. She was blessed with two great and loving sons. Superb tribute as always Diane, many thanks.